Protect your investment with 3M paint protection kits. Computer cut to precision! Protect the hood, bumper, lights, mirror backings, trunk lid and so much more with the paint protection kit that you can install in your own garage. The process is similar to applying window tint. The film has an adhesive side with a backing which you peel off, spray with a soap/water solution and apply to the car. You then squeegee out the water/bubbles and the film is virtually invisible yet protects your car from the harsh roads and debris that aims to chip the paint of your Tesla! There are paint protection patterns for all models and years and you simply select the kit you’d like to apply. The hood kit typically comes with fender pieces that line up with the hood so it all flows together and also includes mirror backings. The standard kit protects about 22 inches of the front part of the hood but there are FULL hood kits available. The bumper kits have options for parking sensors, cameras, etc so all the cuts and curves are accounted for. It is recommended to purchase the headlight protection film as it is typically under $50 for both and it will protect the lense from pitting, peppering, and yellowing over the years. It’s a very cheap investment to protect these very expensive headlight assemblies. 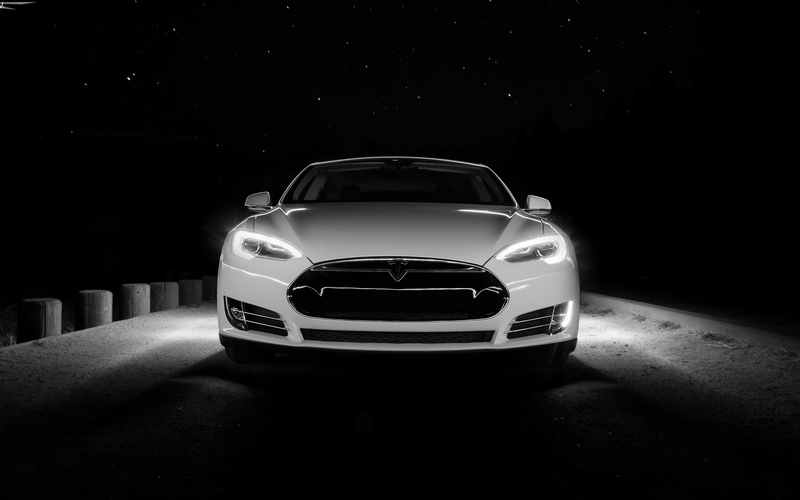 The headlight kits usually come with foglight pieces too (if your car is equipped with them) so essentially you could cover the entire front end of your Tesla and no longer worry about chipped and scratched paint or damaged headlights. Don’t forget, this clear bra “mask” can be peeled off at any time! It is removable if you decide to remove the paint protection years later and will NOT damage your OEM paint in any way. Afterall, it’s designed to protect the paint. There will be no color difference in the paint under the film compared to the rest of the car. The film is designed to let in UV rays so it won’t fade any differently than the unprotected areas of your car. You can save a lot of money by installing this kit yourself and we recommend you start with easier pieces (smaller sections) before moving on to large areas like the front bumper. The larger the piece and the more curved it is usually means it will be more difficult to install. With instructions and videos available you should have no problem getting the paint protection film on successfully and save hundreds of dollars by doing it yourself and never worrying about painting your car again….or even touching up the paint. Some dealerships have been known to charge close to $2000 to install one of these kits on the car when new and you could do it for just a couple hundred dollars! Click the link below to find the kit for your car along with prices and patterns available. We are providing 3M brand precut paint protection products, window tint and wrap film. We custom make each precut kit in house and strive to deliver the best fitting patterns. TeslaClearBra is an independent enthusiast organization and is not affiliated with Tesla Motors, Inc. or its subsidiaries. TESLA, TESLA MOTORS, TESLA ROADSTER, MODEL S, MODEL X, and the “TESLA,” “T” and “TESLA and T in Crest” designs are trademarks or registered trademarks of Tesla Motors, Inc. in the US and other countries.